Those are the three words you’ll find in your head after hearing The Tarnished Gold, a record that seems to be built with the sole intent to blow away last year’s critic’s favourite, Helplessness Blues. Because, compared to Beachwood Sparks, Fleet Foxes sound like horribly monotonous children making horribly monotonous music, which is not true at all. Such is the value of this triumphant return. Not that you’d know Beachwood Sparks were on hiatus and indeed making a return. To know that, you’d have to have heard (and therefore subsequently forgotten) their last album, the sagging and sporadically interesting Once We Were Trees. A critical success, and a huge commercial failure – but who cares – Once We Were Trees wasn’t bad, per se, it merely suffered from being a few years before its time; a few years before magazines like NME and Q abandoned their shameful love of garage rock and decided that, hey, Arcade Fire are at least better than The Vines. And now, in 2012, it’s a rocky time to be writing psychedelic-tinged folk music. A good time, but a rocky time; one catchy song and you’ve got yourself a spot on every summer festival; one boring album and you sink into the abyss with the millions of other copycats; one good support slot and you’ve gained yourself a cult fanbase. Oh, and then you’re also nervously quivering in fear that Bon Iver, the manufactured Antichrist himself, will steal anything you do and call it his own. Or bash his battery-powered Casio keyboard at random and call it Art. But I digress. See, this scene, whatever you wish to call it, from Vancouver to Albuquerque, is a tired and neglected puppy. It needs a rest, it needs some proper love, and it doesn’t even deserve to have much of an audience in this oh-so-elitist futureland with its Beat Detective and its Pro Tools. 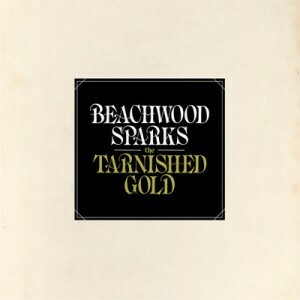 Enter Beachwood Sparks. Beachwood Sparks are really quite good. The Byrds’ landmark Sweetheart To The Rodeo, and the Flying Burrito Brothers. Stained in reverb until the fog blocks the sun, light and breathy like the soundtrack to a Grand Canyon road trip, at times The Tarnished Gold is a breath of fresh air. At times it’s quite impressive. The title cut, one of the album’s standouts, is so deliciously un-country in an intense country way – think Gilded Palace of Sin, one of the best albums of the late 60s. Water From The Well lights up the sky with all its seductive melancholic gloom. Alone Together softly, kindly, magnificently sways from side to side as the only real ballad here. Talk About Lonesome is as close to its contemporaries as The Tarnished Gold, the album, gets – an Of Monsters and Men-like stomp along with searing CSN&Y harmonies to save the day (we don’t want anything to actually SOUND like Of Monsters And Men, do we?). But the real highlight here is Leave That Light On; an absolute dream; a sub-zero temperature, 5 minute haze of soothing calmness that couldn’t be more chilled if it moved to Antarctica and called itself Mary Jane. Overall, The Tarnished Gold is surprisingly touching; a near-brilliant slab of hollow cement that bridges the gap between Buffalo Springfield and Grizzly Bear. It’s reflective, relaxing, and, quite wonderfully, a utopia for fans of the one instrument that makes everything sound like heaven: the pedal steel. The pedal steel is all over The Tarnished Gold, almost enough to warrant its own picture in the liner notes as a lead instrument. You can’t help but adore it and its Topanga Canyon charm. The drawbacks? Oh, they’re here. The lack of a powerful vocalist hampers Beachwood Sparks slightly, but only when things begin to falter near the end with bags of filler and too-short jingles taking the place of real songs. But even when it occasionally slips into Glastonbury dullness, like in The Orange Grass Special, the first half of The Tarnished Gold is so strong that it doesn’t seem to matter. The material is too strong. Gram Parsons often spoke of his dream for “Cosmic American Music”. Well, it looks like someone finally got the memo. Beachwood Sparks will likely receive plaudits and praise and hyperbole and heralding for this album, and deservedly, so beat the rush and get it before it’s cool to own it. If you only buy one thing in July, The Tarnished Gold seems like a pretty good call. Posted in 4 Stars, Roots & Americana and tagged 4 Stars, Beachwood Sparks, Gram Parsons. Bookmark the permalink.